Fall in Alaska is brief, lasting anywhere from a few weeks to a couple of months. Still, many would profess it to be the most beautiful time of the year. Bright yellow and orange leaves pop against clear blue skies as the mountains welcome the first dusting of snow. For us, fall highlights always include the trendy treats, iconic activities and cozy fashions of the season. There is no question that Starbucks’ pumpkin spice latte has secured a spot among autumn’s greatest hits. The drink is the coffee chain’s most popular seasonal beverage with more than 200 million sold since its debut in 2003. This year, Starbucks is making the now-classic drink with real pumpkin and no caramel coloring. Topped with whipped cream and pumpkin pie spices, the pumpkin spice latte is the quintessential way to start the day on crisp fall mornings. Lucky for us all, Starbucks is pretty easy to find in the Last Frontier with well over 20 locations across the state. 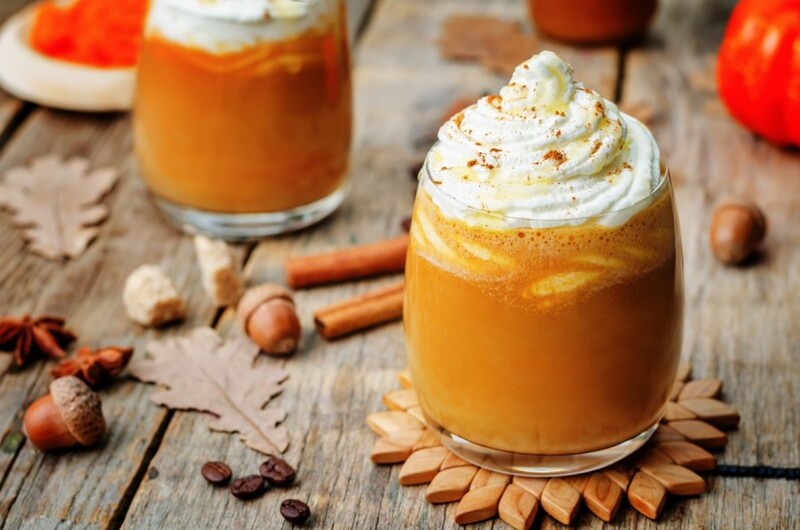 If you prefer your autumn-inspired drinks to come in a frosty pint glass, try out the seasonal pumpkin brews from some of Alaska’s favorite breweries. Alaskan Brewing Co.’s pumpkin ale is made with more than five pumpkins per barrel along with nutmeg, clove and cinnamon for intoxicating notes of pumpkin spice. Another strictly fall favorite is Midnight Sun Brewing Co.’s T.R.E.A.T., a chocolate pumpkin porter that took home a gold medal at the 2007 Great American Beer Festival. Many of our favorite fall activities involve getting outside, and we think a trip to a local ranch or farm is the perfect way to enjoy the changing season. Head to Pyrah’s Pioneer Peak Farm in the Matanuska Valley to pick your own bounty of seasonal veggies like radishes, yellow squash and zucchini. You can also visit William’s Reindeer Farm in Palmer during the last three Saturdays of October to enjoy a family-friendly fall festival featuring a haunted hay maze, tractor-pulled wagon rides and live entertainment. For a truly northern farm experience, pay a visit to the Running Reindeer Ranch near Fairbanks. This family-owned ranch offers tours that take guests up close and personal with the reindeer on a guided walk through a beautiful birch forest. Guests will leave the tour with a greater knowledge of reindeer, as well as the natural history of the forest. While other states are dealing with 80-degree temperatures, it’s already sweater weather in Alaska! Scarves, hats and mittens rule the season and are welcome accessories when venturing out into the crisp autumn air. Get everything you need to stay warm and look fashionable at REI in Anchorage or Fairbanks, or visit local boutiques like Blush, Mabel McKinley or Shuzy Q.